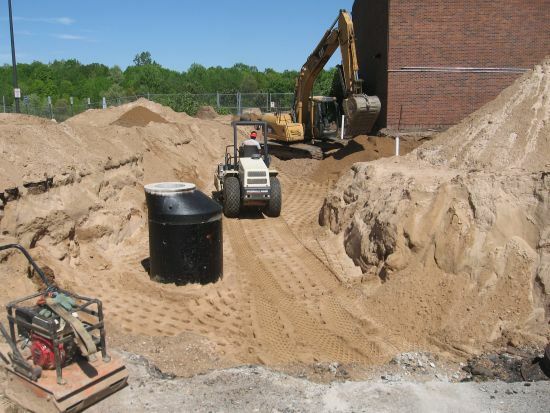 In the spring of 2010, Dean's Landscaping & Excavating was selected as the site work contractor for the new Fremont High School in Fremont, MI. The new site presented many challenges including extensive wetlands and an all clay soil composition. 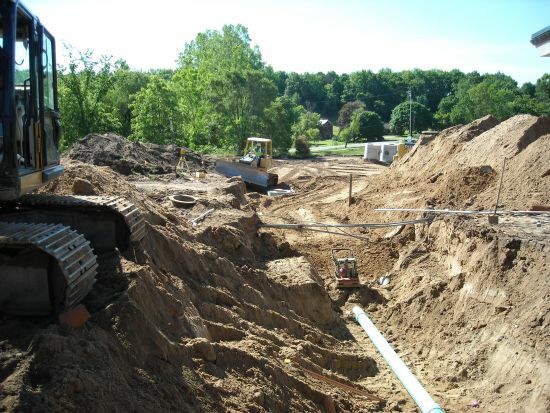 During the summer of 2010, Dean's crew completed almost 90% of the site work including: Balancing of approximately 100,000 cubic yards of dirt, installation of 3,500 feet of sanitary force main, 5,500 feet of water main, 9,000 feet of storm sewer, installation of 30,000 yards of sand sub-base and 17,000 cubic yards of aggregate base. 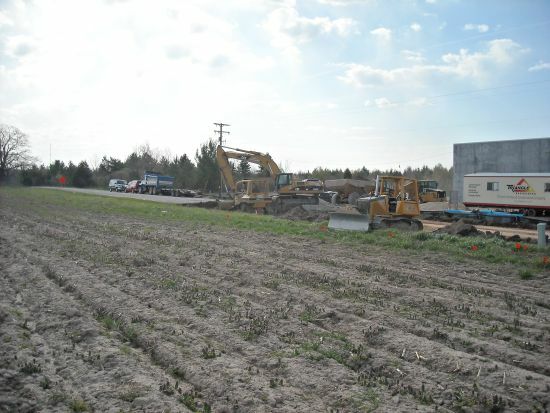 Though Dean's Landscaping & Excavating is not based in Newaygo County, many of our employees are. Through payroll to our employees, use of local subcontractors and materials from local suppliers, Dean's was able to put $466,ooo.oo back into the Newaygo County economy. 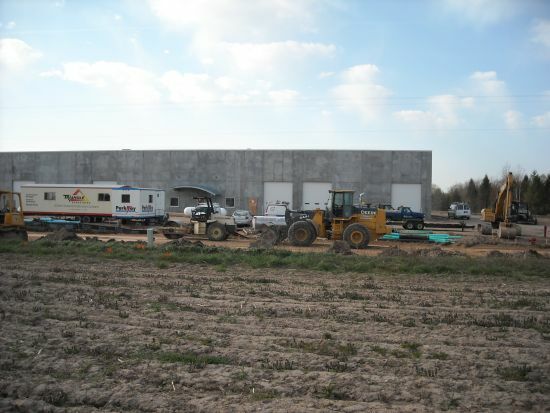 All of us at Dean's Landscaping & Excavating would like to congratulate the community of Fremont on their new complex. We are thankful for the opportunity to work on this project and look forward to its completion. Forest Hills Public Schools: Over the years, Dean's has completed numerous projects for the Forest Hills School district. With a recent bond issue, the district was able to update many of their school sites. Dean's completed everything from total parking lot / drive reconstruction including storm, sanitary and water to foundations for additions and new playfields. In a two summer period, work was completed at Orchard View, Thornapple, Collins, Ada Vista, Ada Elementary’s, Northern Middle School and Northern High School. New playfields including track reconstruction were completed at Northern High and Central High. Central High School presented a unique challenge given the four month construction window for complete reconstruction of the site. The project was able to be completed ahead of the original schedule with minimal delays. Montague New Operations Center: Dean's was able to help when Montague Schools was in need of a new bus garage. The site was a new site witch needed sewer and water ran to the location. 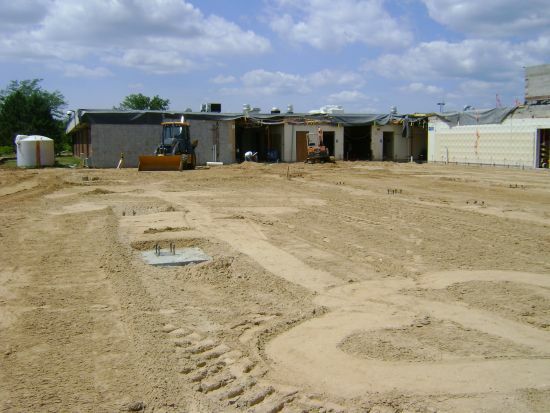 Work for Dean’s also included balancing the site, digging and backfilling footings and construction of parking lots. 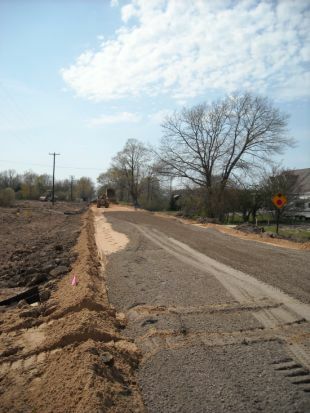 Muskegon County’s road adjacent to the project was reconstructed by Dean’s to handle the increase in traffic. Dean’s was able to offer recycled concrete as an alternate to natural aggregate to help maintain a green build.